Louis Bourgeois of Belliveau Village, Memramcook passed away on Thursday February 7, 2019 at the CHU Dr. Georges L. Dumont at the age of 91. Born in Belliveau Village on February 4, 1928, he was the son of the late Hector and Marie (Leger) Bourgeois. 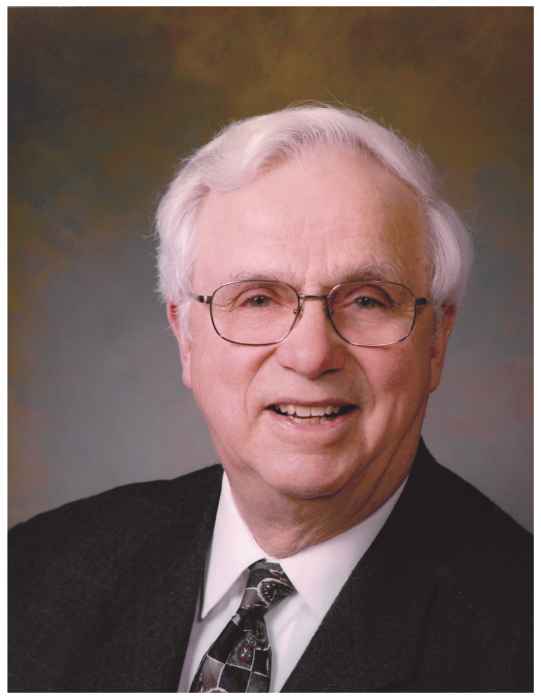 He was the owner of Verger Belliveau Orchard for 50 years, was a past president of Apple Growers N.B, Fruit Growers Association, Golden Age Club of Pré-d’en-Haut, past chair of Crop Insurance and was a member of the local service district of Pré-d’en-Haut. He was inducted to the Atlantic Agriculture Hall of Fame in 2004 and he received the Golden Apple Award in the late 70’s. He will be sadly missed by his wife, Mary of 64 years of marriage, two daughters, Patricia (Ulysse) Cormier and Linda Bourgeois (Laurie Colette) of Dieppe, two sons, Robert (Janice) of Belliveau Village and Jean-Louis (Madelaine Céré) of Pré-d’en-Haut, 12 grandchildren, 11 great grandchildren, three sisters, Sr. Lucille Bourgeois n.d.s.c., of Moncton, Antoinette (Donald) Boudreau and Delina (Eddie) Gaudet of Belliveau Village and by several nieces and nephews. He was predeceased by one son Joseph (infant), four sisters, Bertha, Hélène, Eugenie and Bernadette and by one brother Arthur. Visitation will be held at Dupuis Funeral Home, Memramcook on Monday February 11 from 2 to 4 and7 to 9 pm only. Funeral mass will be held at Notre-Dame-de-l’Annonciation Roman Catholic Church, Pré-d’en-Haut on Tuesday February 12 at 11:00 am. Interment will be held in the parish cemetery.